In 2017 the names of over 860 fallen officers are engraved on the Honour Roll tablets. 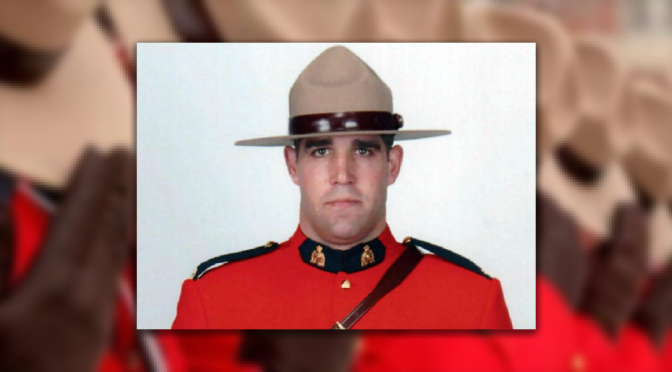 This year, Constable Richer Dubuc’s name was forever carved into the RCMP cenotaph along with 237 other members. Constable Richer Dubuc, a father of four, died in March, when his vehicle crashed into a farm tractor in Lacolle, Quebec. He was 42 years old. 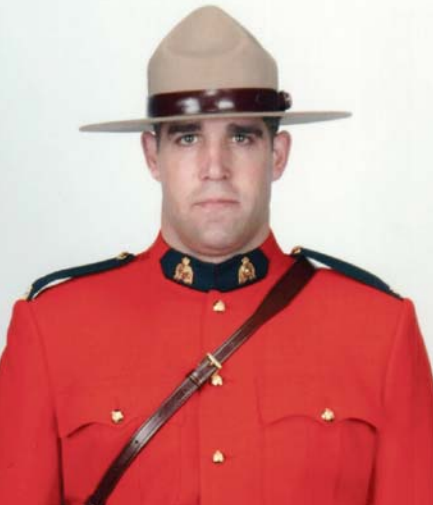 Richer Dubuc graduated from the RCMP academy in Regina in 2009 after working as a firefighter and paramedic, serving as an emergency medical technician with the tactical and emergency response units in the province. A native of Joliette, Quebec, Constable Dubuc began his career with the Codiac Detachment in New Brunswick in November 2009. He joined the Integrated Border Enforcement Team based in Saint-Jean-sur-Richelieu, Quebec, in January. He is remembered for his dedication and contribution to communities in both Quebec and New Brunswick. “I will always remember his huge smile, his joy in life that was as large as his presence, and his compassion and love for his family,” wrote a former colleague from New Brunswick. THEY ARE OUR HEROES. WE SHALL NOT FORGET THEM.